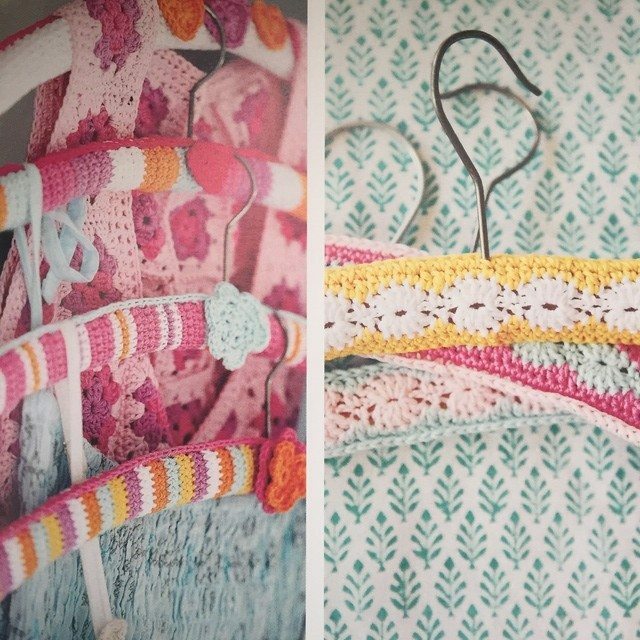 One of my favorite examples of crochet coat hangers comes from Therese Hagstedt’s book Colorful Crochet. 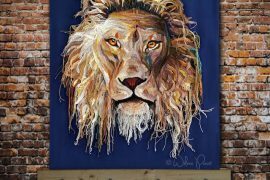 They are indeed colorful and give some great ideas for making covers that incorporate lots of scrap yarn. This option created by hookybren has a similar style; it definitely appeals to me. There are many different kinds of coat hangers including thick ones. 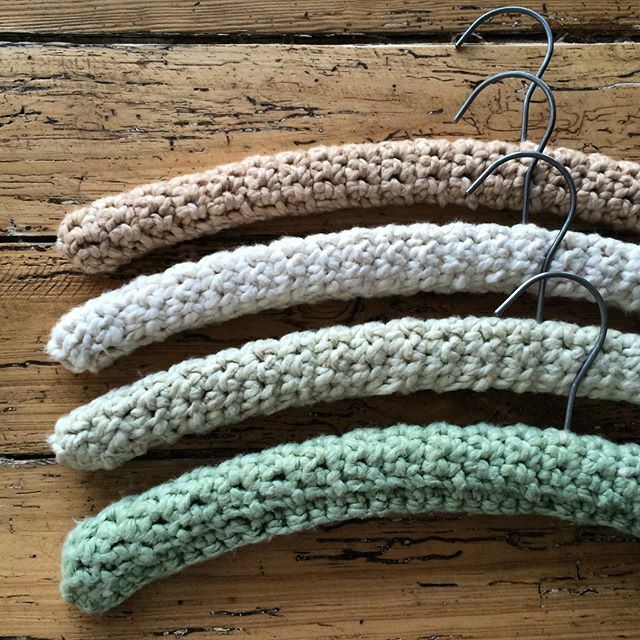 Lazy Daisy Jones offers a tutorial for taking T-shirt yarn and using it to upcycle thick wire hangers. 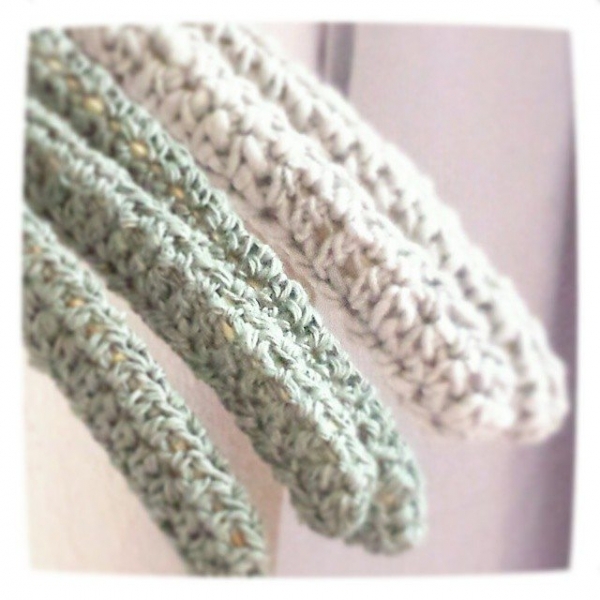 These were previously shared in my roundup of 60 crochet patterns for the home. 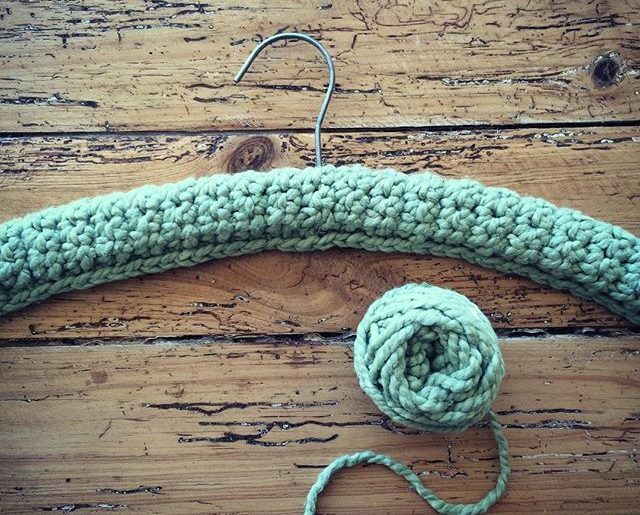 Here is a cute crochet-covered coat hanger made by Elza van der Merwe. This would be a cute option for presenting a gift to someone on a hanger. I also like how it uses some mixed media and appliqué details to make the design even more interesting. 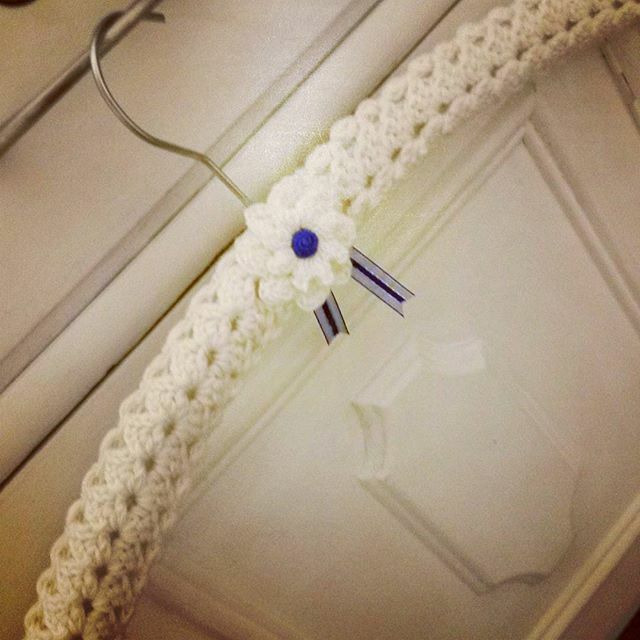 That inspires a lot of ideas for accenting any crochet-covered coat hangers I might end up making. 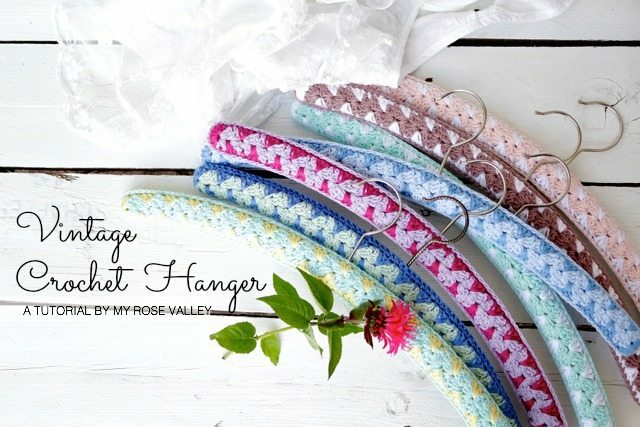 If you are looking for a detailed tutorial, rather than inspiration for what to crochet, then this vintage-inspired crochet clothes hanger tutorial from My Rose Valley is one of the best options. 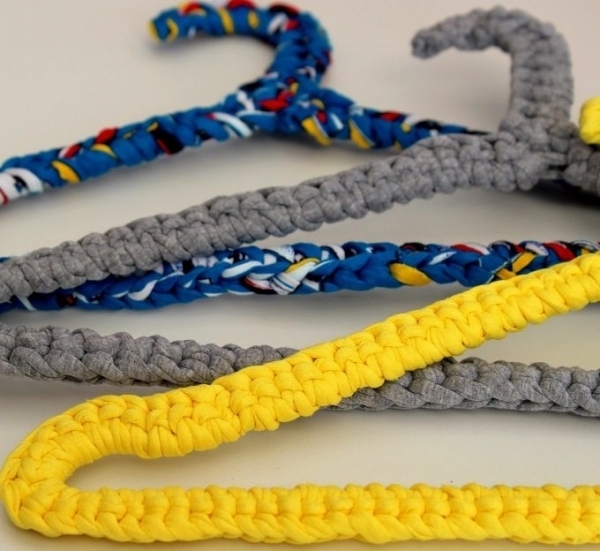 This was featured previously in my roundup of 75 crochet tutorials. 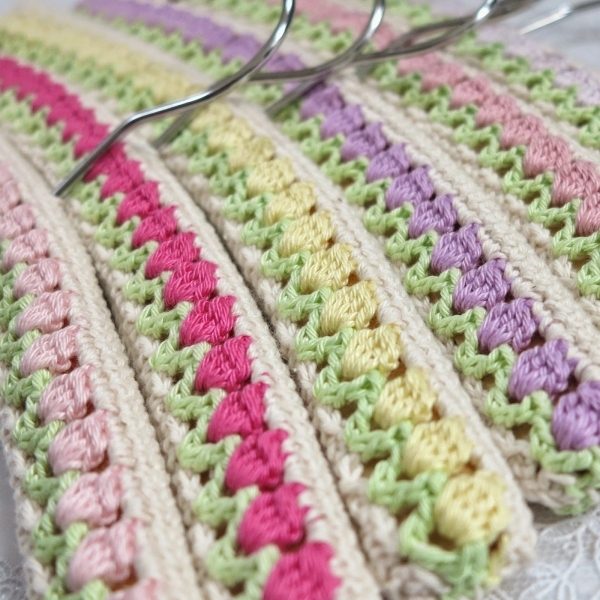 Another terrific choice is the Tulips in a Field crochet hangers free pattern from ByHaafner; it has simple color changes that make the stitches used look just like flowers. This is a particularly great choice if you are decluttering and redecorating for spring! 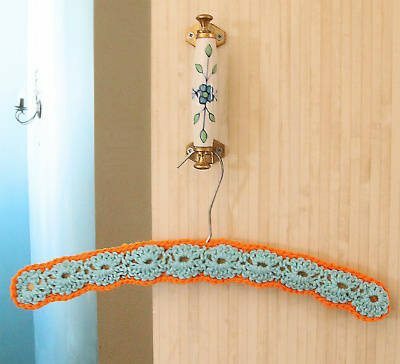 And finally, here is a lovely shell stitch hanger cover pattern by Creative Jewish Mom who shows that you can use contrasting colors to make a border around the coat hanger that gives interesting aesthetic appeal. 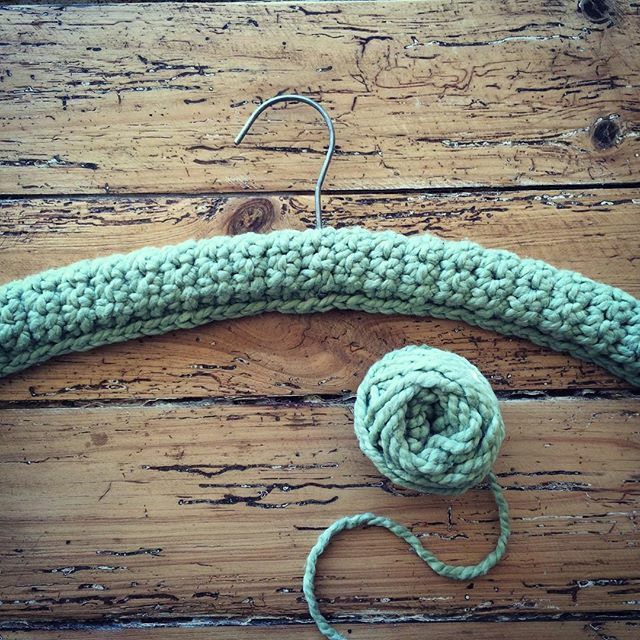 In her post, she shares a second idea for an easy pattern that uses shell stitch as a bottom border. 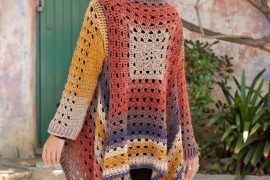 And in another post about crochet coat hangers, she shares some of her favorite designs from other makers. Thank you Kathryn. Lovely roundup. Love them all.